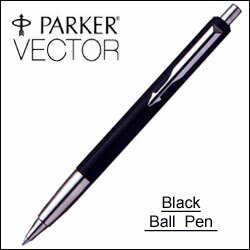 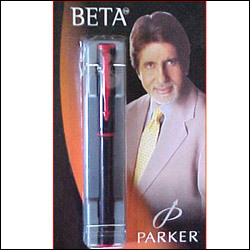 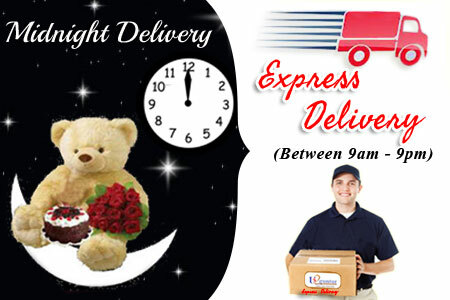 Parker Black Ball Pen -Moulded plastic barrel and cap with stainless steel trim. 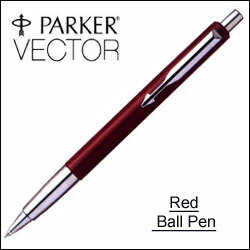 Parker Red Ball Pen Moulded plastic barrel and cap with contrasting stainless steel trim. 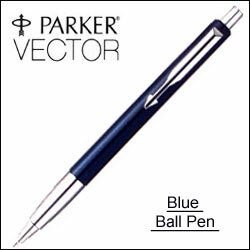 Parker Blue Ball Pen. 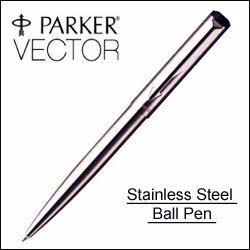 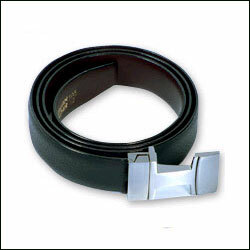 Moulded plastic barrel and cap with contrasting stainless steel trim.